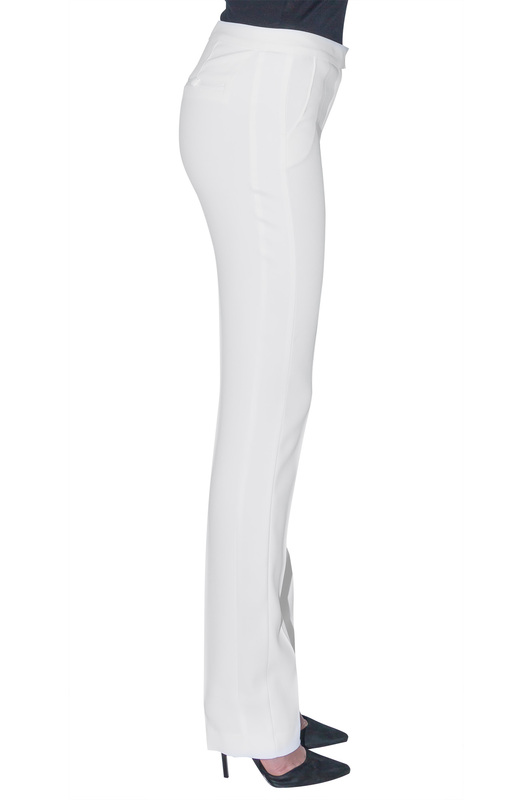 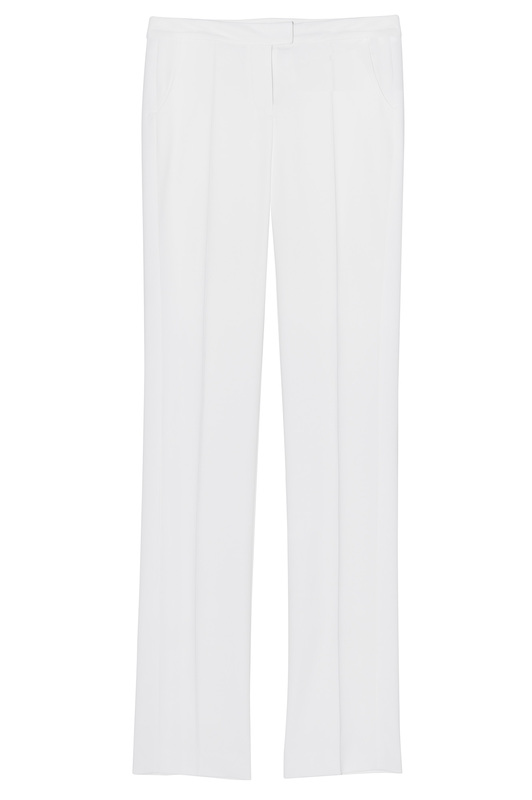 The perfect white tuxedo pants, these well cut and fitted trousers flatter any shape with its light material, making it a chic yet comfortable piece. 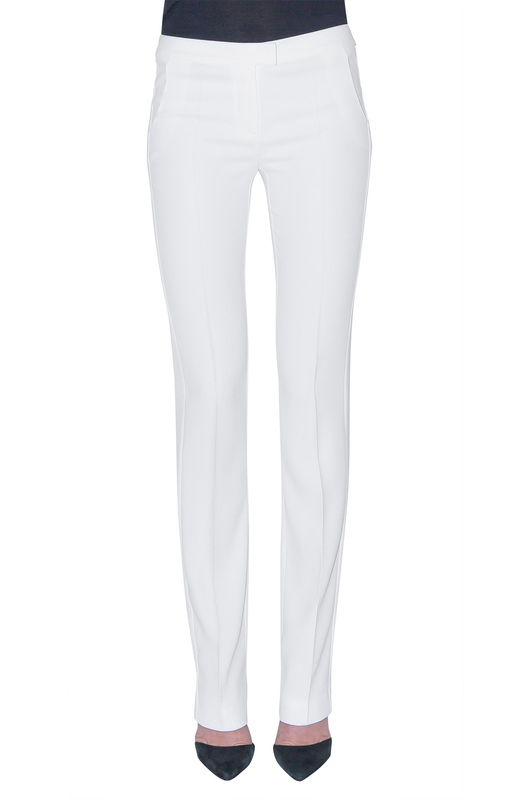 Ideally worn with its matching white tuxedo jacket and silver heels for an elegant evening ensemble, it can also be paired with a simple white tee shirt for a more casual look during the day. 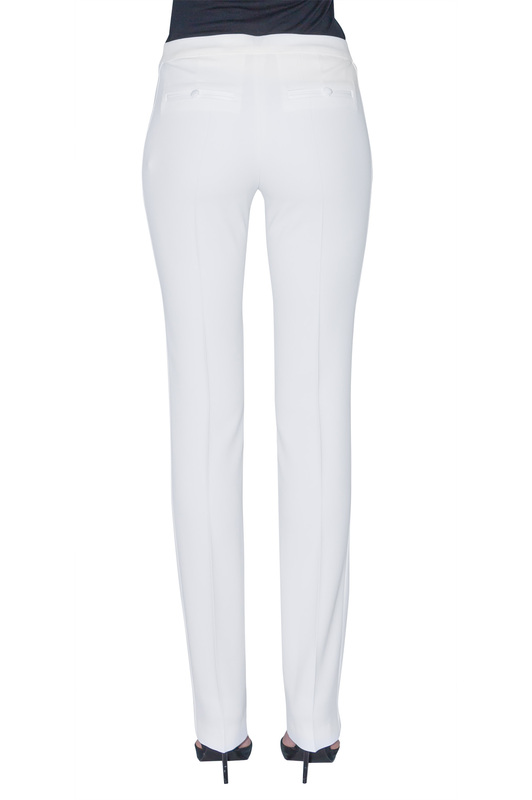 Do not hesitate to take advices by sending an email to our team of fashion adivisors.